Field Reports was the heading under which some more in-depth reviews of hardware or software, usually practical, were occasionally published in Amiga User International. 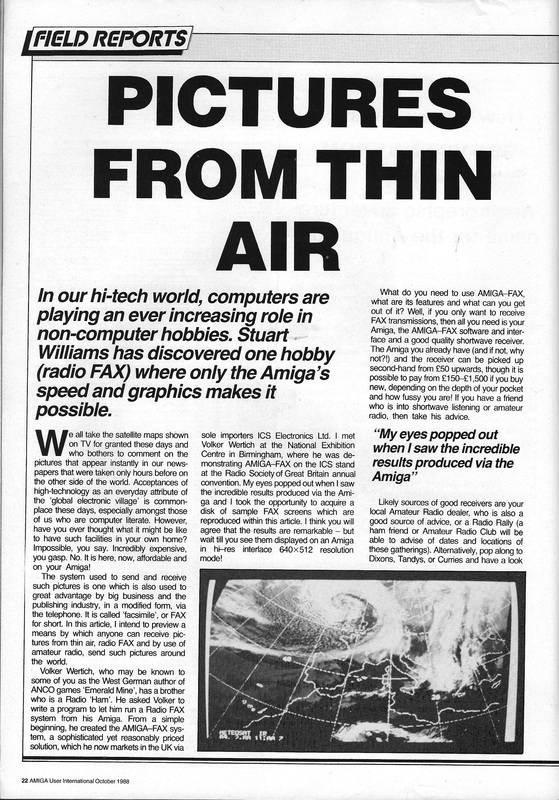 Pictures from Thin Air was all about the Amiga-Fax package of hardware interface and software, a product of ICS Electronics Ltd of Arundel. 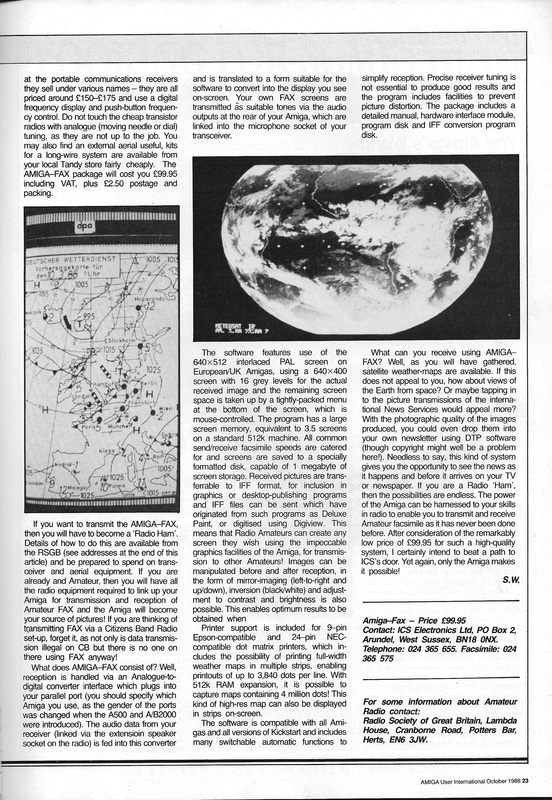 This enabled the Amiga user to connect their computer to a Communications Receiver and download satellite images of weather patterns via short wave radio broadcast, or even to send and receive pictures through the airwaves if they were licensed Radio Amateurs with suitable transceiving equipment. A pretty impressive achievement for the time, and something for which the Amiga was very well equipped, with its high quality graphics. Because of the amateur radio content, I have placed this page under ‘Ham Radio’ for simplicity. This is one of several features which were rediscovered with the help of Andy C. Spencer of the Retro Computer Museum, and with museum volunteer David who did the scanning, for which many thanks.